This bloody sledge hammer prop has a real wood look. Hard plastic construction with textured handle, complete with stained blood for the scary look you desire. Very realistic. Lightweight. 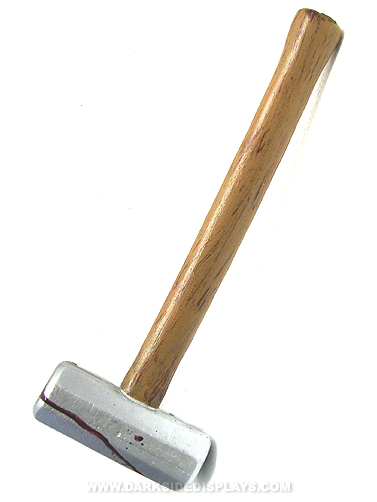 Bloody Sledge Hammer Prop measures 16"L x 6"W.